I hope everyone had a sweet Valentines Day! I made these little treats for my co-workers yesterday. Inspired by the Nutella Sea Salt Fudge I read about on The Small Boston Kitchen and the 3-Minute Chocolate Peanut Butter Fudge on How Sweet It Is, I decided to make my own 3-Minute Chocolate Nutella Fudge with Espresso Salt. I wanted a quick but decadent Valentines Day recipe and remembered I still have the espresso salt that I bought from Christina’s Spice and Specialty Foods a few months ago. I knew it will go very well with some of my favorite flavors so I wanted to make something chocolate-y. So I made 3-minute fudge! It was very simple to make and required very few ingredients. Combine all the ingredients (except the espresso salt) in a medium microwave-safe bowl. Heat on full power for 1 minute, then remove and stir. Everything would have started to melt but you’ll still have some lumps. Heat again in 30-second intervals and stir until the mixture turns smooth. I ended up microwaving everything for a total of 3 minutes. 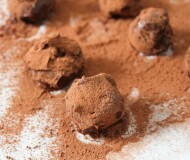 Scrape the mixture onto an 8×8 baking pan and sprinkle with the espresso salt. Chill in the fridge for at least two hours, then cut into squares. You can use regular sea salt or any other kind of flavored salt you like, or even omit the salt altogether. They were the perfect Valentines Day treats! Did you make anything special yesterday? 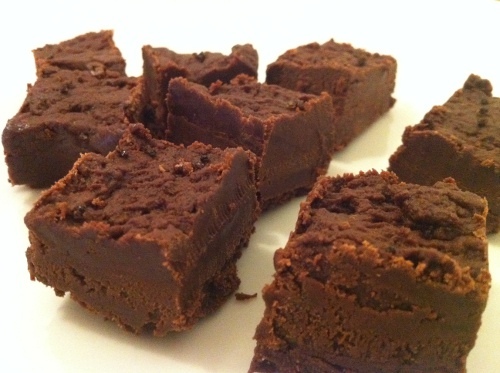 Ever tried microwave fudge? No no no, you can’t omit the salt at all! 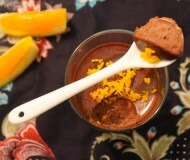 Chocolate and salt are like my favorite thing these days! 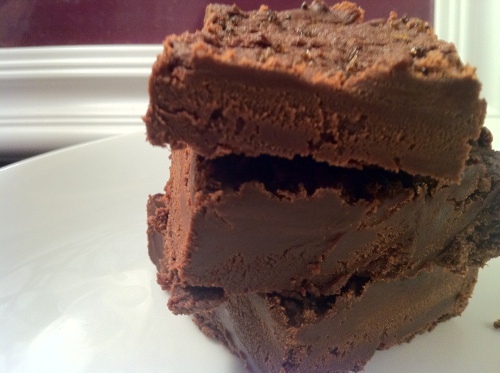 I love fudge so much- this sounds wonderful! Wait, that is too easy! 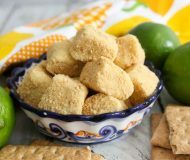 Almost dangerously easy :) I’m adding this to my “Must Eats” page! ahh! These look delicious =) anything with Nutella has my heart. Thanks to you I just got the biggest chocolate craving. That looks so good! Wow! That combination of flavors looks so addictive! Wow! This looks delish. Such a fun Valentines Day treat. And it looks so quick and easy. I must make this soon! Fudge + any kind of salt = my downfall. This looks delicious! These definitely sound like perfect V-day treats! Especially with that salt! I can’t believe they are so quick to make. these look SO GOOD! I want some espresso salt. I have some Espresso Salt as well and now I know what I will use it on! One of the best advice I ever got was to combine salt and chocolate, and I’ll never go back to eating plain chocolate deserts! 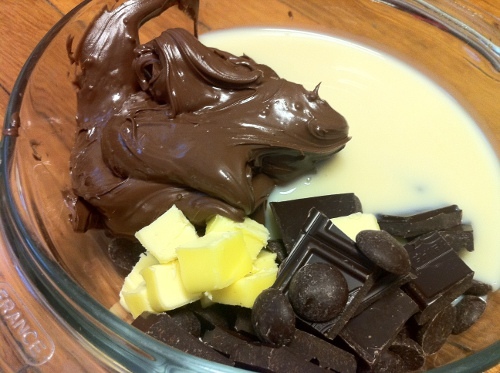 nutella fudge? are you kidding me? that is awesome!! My mom makes a killer microwave peanut butter fudge. I love addition of espresso salt. How delicious! I’m sold. Nutella? And Chocolate? And Salty Sweet goodness? And in 3 minutes!?!? Wow, this sounds amazing. I will definitely have to give this a try. Oh, this looks so good! I don’t ever make fudge but this is really tempting me! I’m once again tempted to eat the screen. Fudge was a HUGE treat for me as a kid, and still is as an adult. This looks too good to be true! Love where you’re getting the inspiration for you’re version! what a perfect vday treat!! I NEED to find espresso salt! where did you get that?? Can I just say that I am really appreciating your use of Nutella lately! I usually don’t like fudge b/c people make it too sweet but I love the addition of the espresso salt – I think that would be the best cut for all the sugar! Oh wow, this looks awesome!! I’ve been seeing Nutella everywhere lately and it’s seriously making me realize I need to go pick up a jar!! Oh My!!! We just discovered Nutella a few months back and I’m craving Nutella recipes… this one is a winner! I can see myself growing very addicted to these. They look amazing. WHAT! Nutella Fudge. I must faint. P.S. – Thanks for visiting my blog :-) Glad to connect! Um…YUM! How did I miss this? My mouth is watering right now…like for real! That looks SO GOOD!